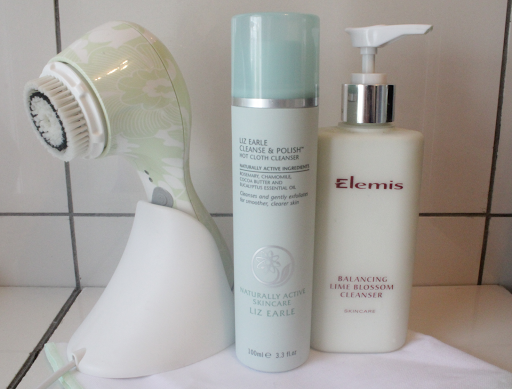 I’ve always been an avid follower of the ‘Cleanse, Tone, Moisturise’ regime but back in my student days these consisted of cheap high street cleansers, toners and moisturisers until I was introduced to the brand Elemis – then everything changed and I realised the importance of using good quality skincare. Compared to the previous cleansers I had used, this product made my skin feel really clean. Rather than just removing the top layer of makeup I could see it had got rid of all dirt and grime from the day yet without stripping the skin of moisture. I also have the Balancing Lavender Toner which compliments this product and helps to close the pores after cleansing. 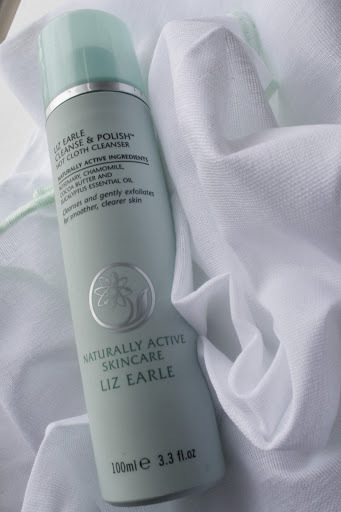 About two years ago I attended a beauty awards event and was so excited to see the Liz Earle Cleanse & Polish in my goody bag. I had heard such great things about this product as well as the brand as a whole so had high expectations…it didn’t disappoint. 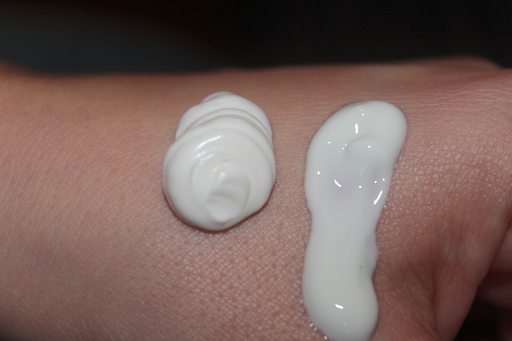 This is a much thicker cream and smells so fresh, it is made from natural ingredients such as Eucalyptus oil and Beeswax so you know it’s good for your skin. After massaging one or two pumps of this on to your face you then run the muslin cloth under warm water and wipe it off, this also acts as an exfoliator. This makes your skin feel so fresh and tingly! The only down side is the effort, I realise that makes me sound lazy but after a hard day the thought of smothering my face in a thick cleanser and taking time removing it with the cloth…I’d rather just use a lighter, quick cleanser you can remove with cotton pads. Therefore, I tend to use this about once a week or at the weekends to thoroughly clean my skin. After much hype around the Clarisonic from the press to the celebs (Millie Mackintosh swears by it…and from looking at her glowing complexion she’s a pretty good advert!) 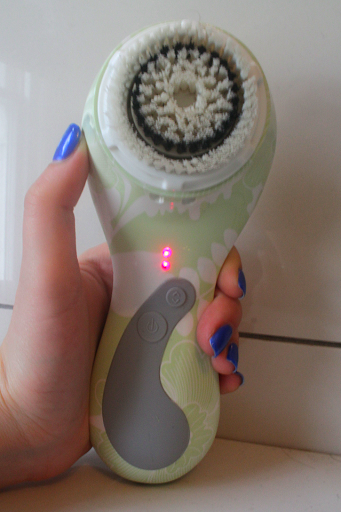 I was so happy to get a Clarisonic Mia of my own about a year ago. I would love to say I have used it religiously ever since, but noting my earlier comment reality is I do go through phases of using it lots and then not for a while. However, when I do use it I notice the difference in my complexion. 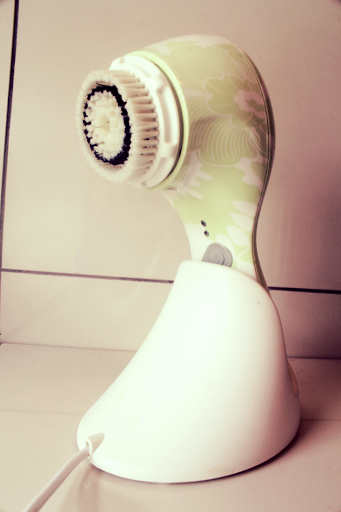 Clarisonic uses small sonic vibrations of up to 300 movements a second, to help clean, soften and smooth your skin. They state that you can use it up to twice a day but I would say it’s probably best to use it every few days so to not over exfoliate your skin. However, the great aspect of the Clarisonic Mia is that it isn’t harsh at all instead it provides gentle cleansing process but I always believe in balance and not to overdo it. Another great element of this product is that it alerts you to move on to the next area of your face with a series of beeps. I like this feature as it makes me feel I have spent enough time for my cheeks, forehead, nose and chin. One thing to note that gets me every time is that it can feel a bit ticklish especially around your nose…every time I use it on my nose I have uncontrollable giggles! After using it a few times a week for a few weeks my face felt noticeably smoother and looked much clearer. I also feel that it must be helping to tone my skin due to the vibrations, this will help prevent sagging and loose skin in years to come. 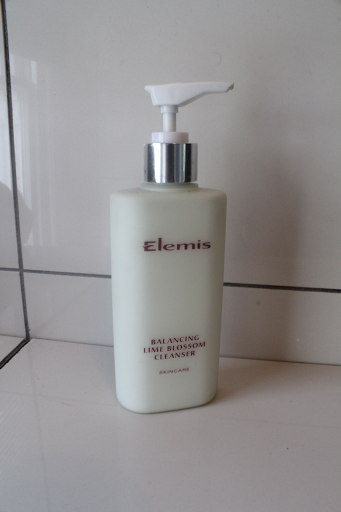 Elemis Balancing Lime Blossom Cleanser for everyday use, Liz Earle Cleans & Polish to really clean the skin and for deeper longer lasting results also use the Clarisonic Mia a few times a week.